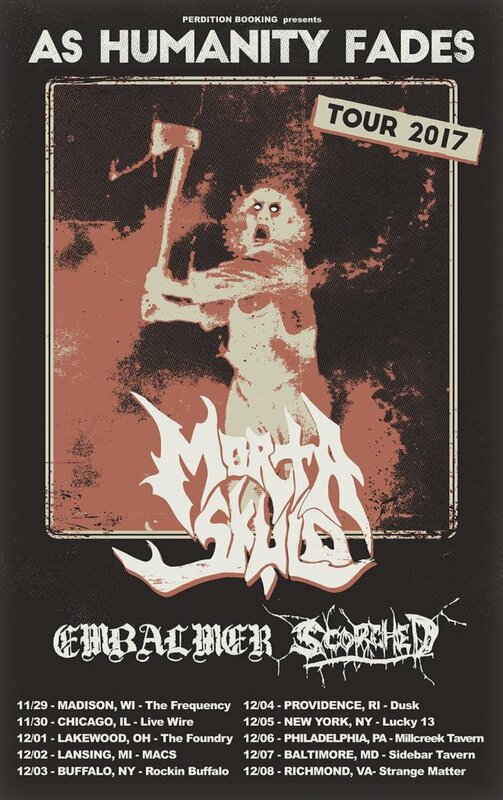 Formed in Milwaukee, Wisconsin in 1990, Morta Skuld has been in the American Death Metal scene for 25 years, and has played with such bands as Death, Obituary, Slayer, and Napalm Death. 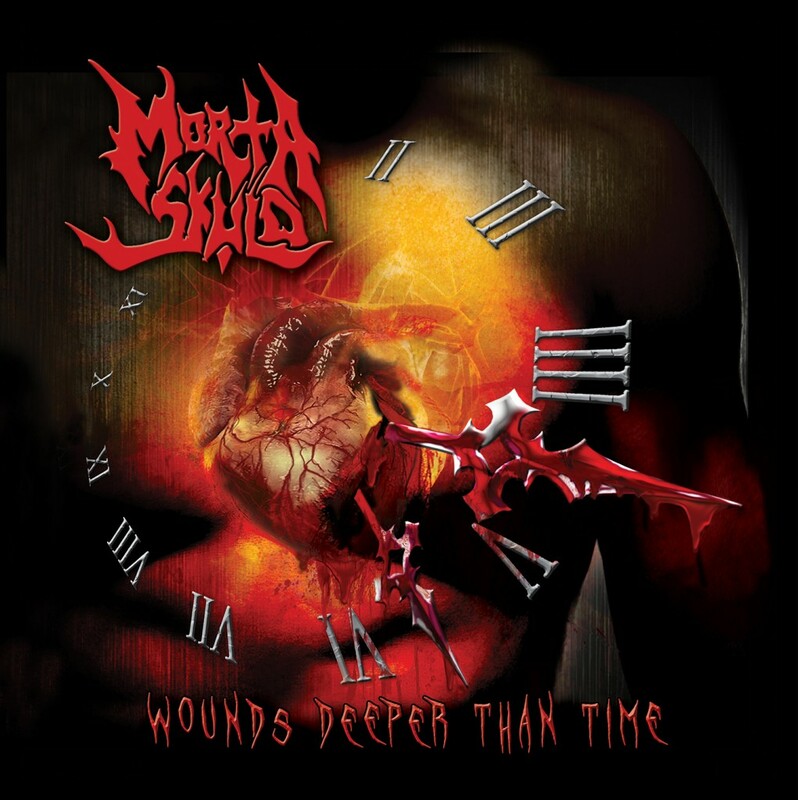 Morta Skuld went on to sign with England’s Peaceville Records. 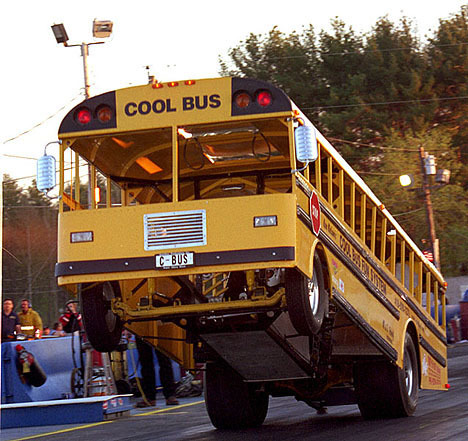 After breaking up for number of years, the band reformed with a new breed and take on their genre. The current line up consists of founding member Dave Gregor (vocals and guitar), plus Scott Willecke (guitar), AJ Lewandowski (bass), and former Jungle Rot drummer Eric House. 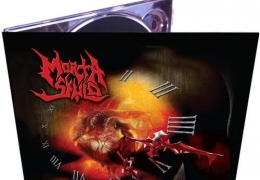 Reinvigorated US death metal maestros Morta Skuld have completed work on their new studio album, & first full-length release since the ‘Surface’ album in 1997. 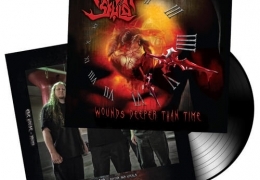 Titled Wounds Deeper Than Time, the band has reunited with original label Peaceville Records for this latest opus – OUT NOW. 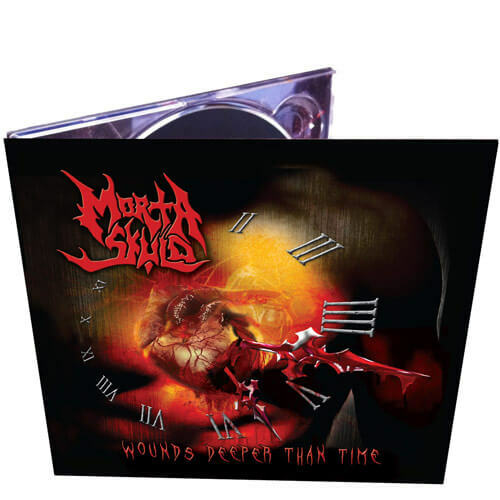 Wounds Deeper Than Time presents Morta Skuld’s finely honed mix of power and brutality with a foot firmly planted in the old school. 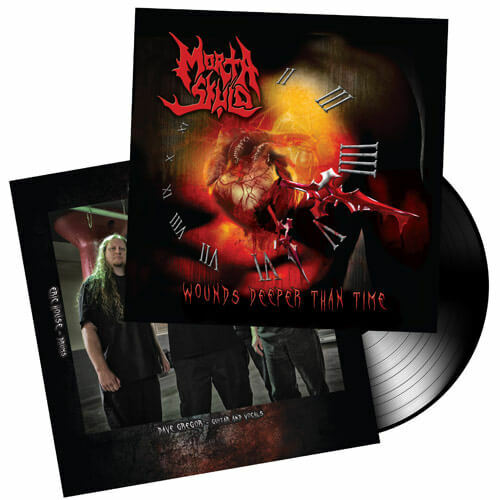 A pummelling union of twisted melody and crushing riffs, Wounds Deeper than Time was recorded mixed and mastered at Mercenary studios by Scott Creekmore (Putrid Pile, Broken Hope, No Zodiac, Waco Jesus, Bloodline, Lividity) & produced by the band themselves. 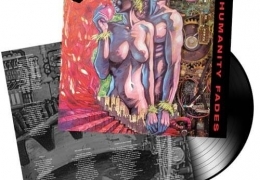 Cover art comes courtesy of Patrick Kachellek, who created the cover for the band’s comeback EP, ‘Serving Two Masters’ in 2014. Joining longstanding member and founder David Gregor (Guitar/vocals) is Scott Willecke (Guitar), AJ Lewandowski (bass) & Eric House (drums). ‘Dying Remains’ was the band’s debut, released in 1993 & recorded at Cornerstone Studios. 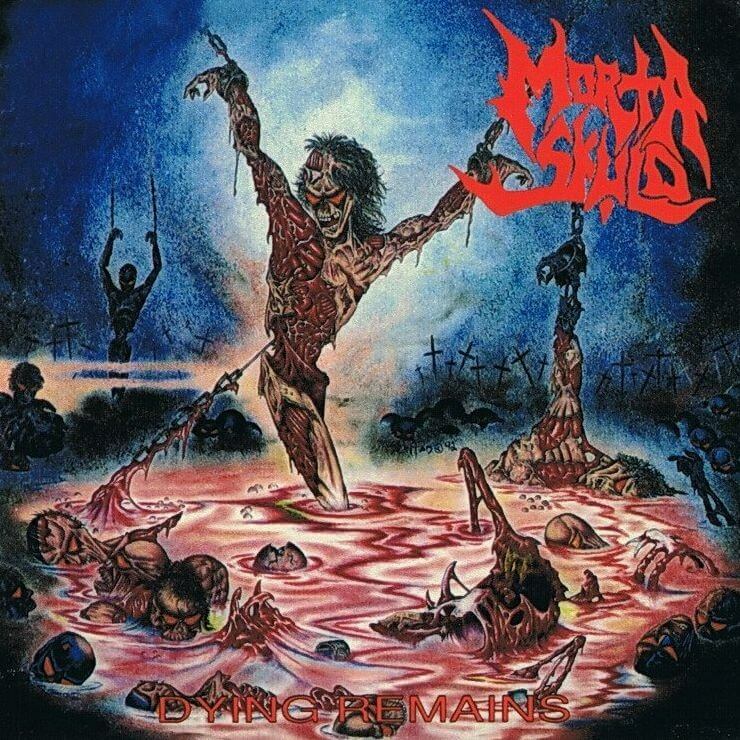 The band brought a refreshing blend of heavy & brutal death & doom along with more atmospheric & melodic elements instead of straight forward fast & brutal death metal releases prevalent in the US scene at the time, an element which helped to distinguish them from many of their peers. 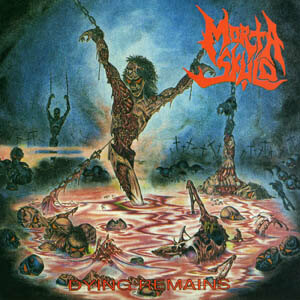 Morta Skuld were highly acclaimed & played with such bands Obituary, Death, Deicide, Napalm Death, Fear Factory, and Cannibal Corpse. This edition of ‘Dying Remains’, arriving 20 years after initial release, has been fully remastered with the process overseen by the band, & the expanded booklet features additional content including rare/previously unseen photos.